Most people think the best way to deal with a household pest is to kill it. At Critter Control of Ft. Worth, we want to give our customers other options. Killing pests, especially rats, may not be the best solution for your infestation problem. Extermination methods are usually not environmentally friendly, and killing rats yourself can expose you to a variety of potentially fatal diseases, including the bubonic plague. 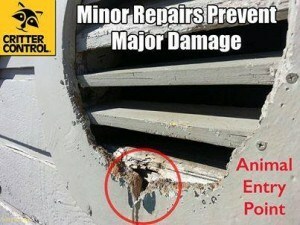 At Critter Control, we encourage rat proofing your Ft. Worth home and give you plenty of tools to do so. Rat proofing your Ft. Worth home is easy if you have the right tools. For example, the experts at Critter Control recommends bringing natural predators into your home. The most common predator is a cat; a gifted mouser can kill 1,200 mice and rats per year. If you bring in a cat for this purpose, get a female; females are more likely to hunt rodents tenaciously. If you are not a cat person, several rat-minded dogs can help as well. Jack Russell terriers are predisposed to chase and kill small, fluffy animals, so let them follow those instincts with rats. Jack Russell terriers and similar breeds can catch the big rats that intimidate cats. This being said, never leave a full-blown rat infestation up to pets alone. Your pets can easily contract rat-borne parasites and diseases. Additionally, never leave pet food in the open; rats use it for their own food. Other ways of rat proofing your Ft. Worth home include humane rattraps and careful caulking and sealing of doorways, window ledges, attic entrances, and other common entry points. Critter Control of Ft. Worth offers both these solutions. We recommend our customers use multi-capture live traps or snap traps. Once again, though, do not handle a rodent infestation on your own. 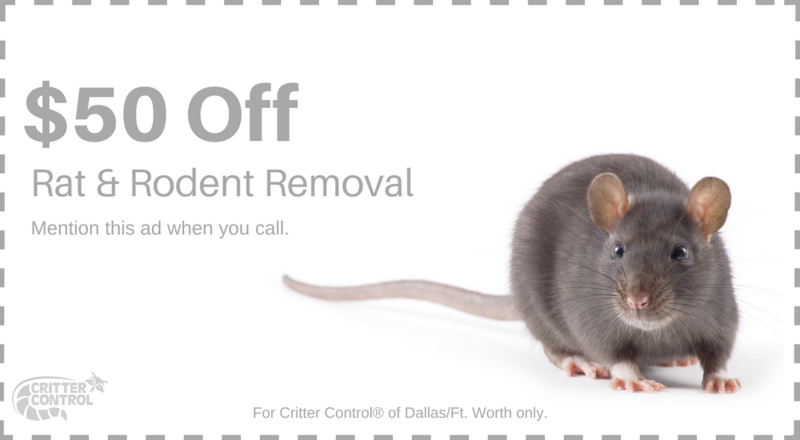 Call Critter Control or fill out a Contact Us form to determine the best plan for rat proofing your Ft. Worth home and eliminating existing rodents.